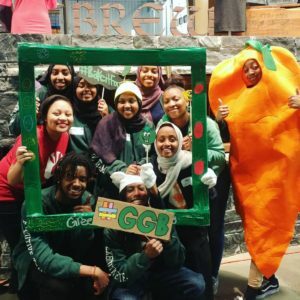 Leensa Ahmed and her friends at Green Garden Bakery are an inspiring example of the beautiful impact that food education programs can have. In fourth grade, they started participating in local cooking classes in their neighborhood. A non-profit group called Urban Strategies hosted the cooking classes, and each year the students learned more about nutrition, healthy eating, gardening and exercise. As they grew, they all wanted to do more to make an impact. When a friend from the neighborhood, Amarya, got into a car accident in 2014, Leensa and her friends aspired to help her with medical bills. They knew how to cook, so they held a bake sale. The bake sale was an overwhelming success. They earned three times what they thought they would, and had a great reception from the neighborhood. Why? Leensa and the rest of the group don’t serve up your average baked goods. 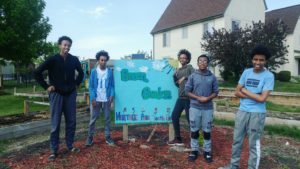 They grow vegetables in their community garden and turn them into healthy, vegetable-based desserts. 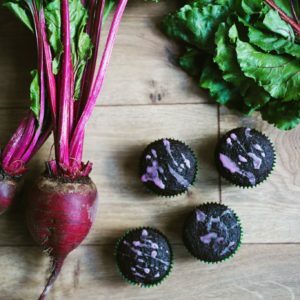 They also offer baked goods to fit within a variety of dietary restrictions (vegan, gluten-free, sugar-free). And people love them. With the success of the first sale, the group saw the potential of their endeavor, and realized this idea could be more than a one-time deal. Before the cooking class, where she was exposed to vegetables, Leensa recalls “I didn’t even know what a zucchini was!” In her Heritage Park neighborhood, there’s ready access to fast food, but not fruit and vegetables. While the cooking classes broke bad eating habits for Leensa and her friends, much of her community retains those habits. 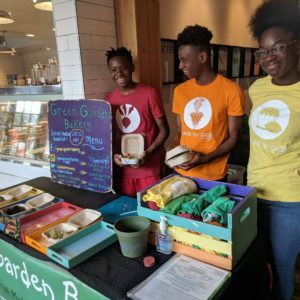 When the young entrepreneurs set out, they were thinking about more than an exciting business venture—they wanted to create accessibility for healthy, wholesome, and delicious food in their neighborhood. They also use recycled, compostable packaging when they sell their treats, and donate their profits back into their community by purchasing security systems for families in need, sponsoring adult exercise classes, providing healthy meals for hungry families, and more. “At first when we started,” Leensa explains, “we charged five dollars per item, but when we realized how popular the baked goods were, we wanted them to be accessible for everyone.” The group implemented a “pay what you want” model, and now, people often pay-it-forward with their purchase, knowing that if they are able to contribute more to the cause, that money will go back into the community. As a high school student, Leensa serves as CEO and CFO of Green Garden Bakery. “It’s been challenging and sometimes overwhelming, but also very empowering,” she reflects. “We don’t have anyone telling us what to do, we don’t have business training. Everything is up to us. We’re pursuing different channels to consumers, doing a lot of trial and error, and figuring out what works. We just do what we think is right.” As in any business, there are different points of view to navigate, but the group of lifelong friends has a strong vision to keep them on track. After winning at the Minnesota Cup, they set up a crowdfunding campaign and secured enough support to invest in a kitchen space. Now that they have a dedicated space for baking, they have expanded to offer online orders and soon, they’ll begin wholesale business. Every time Leensa goes to a sale – at a pop-up event, a farmer’s market, or a festival, the energy of the people inspires her. “All too often, youth of color have a different reputation, but we’re out here changing that perception. It’s more than just a business, we’re really creating an act of social change.” She explains. People are excited by seeing young people taking action to improve their community. In a perfect symbiotic relationship, the youth of Green Garden Bakery source of inspiration for people who also inspire them. 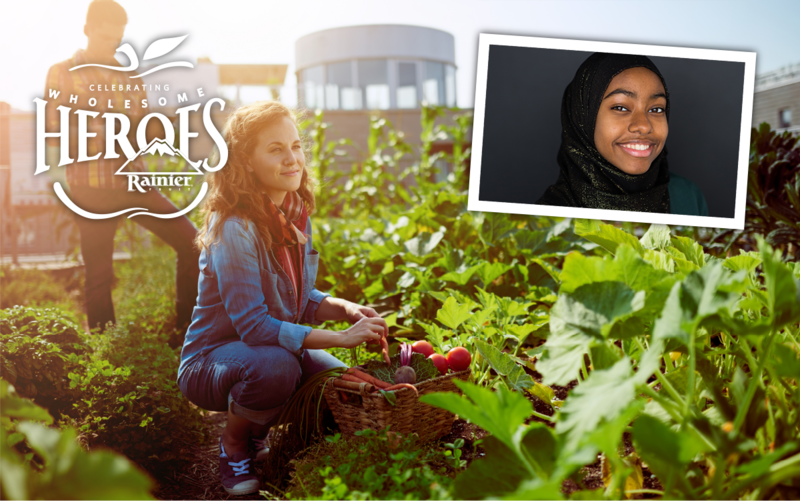 Rainier Fruit and our partners at the Whole Kids Foundation are truly honored to call Leensa Ahmed a Wholesome Hero.